Some people probably look at the X-Fest lineup and think "Wow! It's like an all day mini-Festival!" I look at it like the old lady I am and go, "Where can I go nap between Shady Francos and Modest Mouse?" I'm just kidding, of course, there are some great bands on this lineup, I just don't know how I'll convince Darren to stay all day and night. 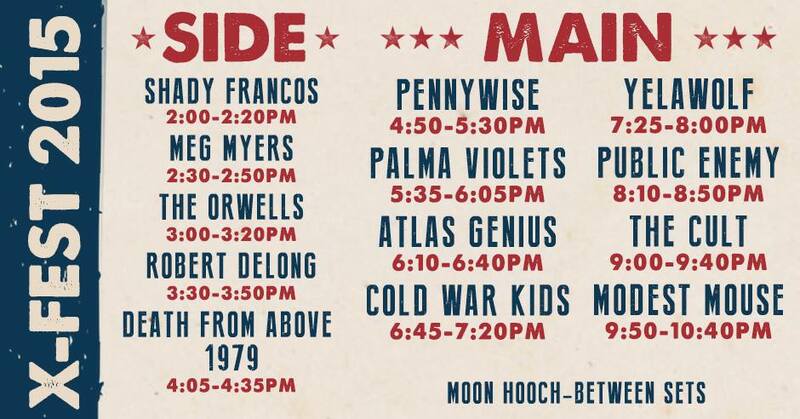 Anyway, here are your set times.